Ahoy there fellow party people, there be some carousing and cavorting to be done.... Aaah! The luxury catamaran sails every Sunday and Wednesday from June at 5pm complete with it's beautiful people, cool tune DJs and more FREE booze than you can hoist the main sail with. 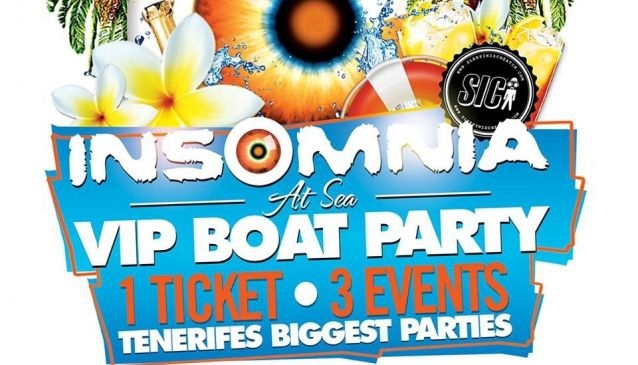 You'll have to work your passage by taking in the sunset, joining in the Champagne spray and helping to create mayhem with the sexiest hosts on the island; not too much to ask is it?The after 'cruise' party is at the Kandi Lounge with premium drinks and cocktails on offer followed by a serious shin-dig at Sugar Reef for a free shot and discounted drinks until 4am and beyond!